Psychologists and scientists have studied the brains of children and teenagers, and found that their decision-making skills are not fully developed. They lack the mental development to approach emotional situations with a rational mindset. This means that a child or teenager who is school age when upset will make emotional reactions to situations. This recent school vandalism in Guam is a prime example of how these emotional reactions can mix with peer pressure and become a huge and damaging event. Episodes like this are sometimes spurred on by the smallest events that happen during class...punished by a teacher, embarrassed, suspension or any other event that is emotional. 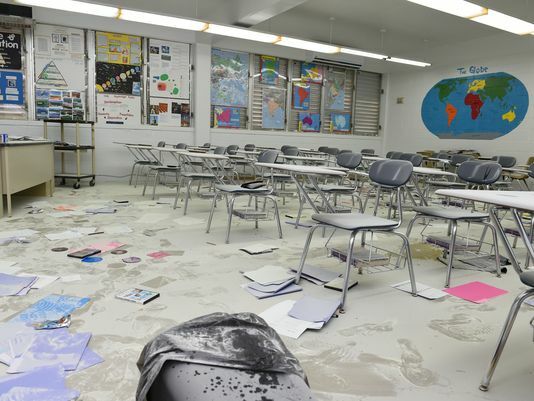 These students ripped through classrooms, damaging cameras, spraying fire extinguishers, splattering paint on the walls and overflowing sinks causing flooding damage to classrooms. The damage to the school was extreme and costly, with some classrooms flooding with 2-3 inches of water or more. 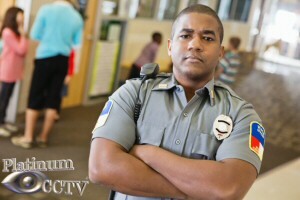 This is just another reason for schools to have security cameras in place. Even though it did not deter the behavior in this event - because the students could not think rationally through their emotional state, but they did provide enough evidence, combined with the support of parents and other students to find these destructive youth. Their being caught will not only help to deter other students from doing the same thing, but also hopefully will assist these individuals in beginning to understand the consequences of their actions to help their brains develop further to make better choices in the future. Vandalism prevention and justice are just one of the reasons that every school from pre-school to College needs to be covered with security cameras in all of the common areas. The other reason, we have discussed many times, is the security and protection of our children from outside threats like we hear about on the news at least several times a year. Any camera system is good, but the easier your video is to access, the more useful the video becomes for your school district. Systems like our AVM (Advanced Video Management) system deliver the ability to even scan through days of video in a matter of seconds visually, even without knowing the time of an event. The faster you can find the video, the less time you have to spend playing through it. This allows you to use your video to monitor flow of children into and out of the classrooms or building, so that you can help find problems even before they become severe - Students leaving class to gather, or unauthorized personnel trying to enter the facility. Mix the ease of access with immediate multi-computer remote access, and now all administrators can easily watch some or all of the cameras from their desk, allowing better security and responsiveness to all staff within the school.